One of the world's most endangered groups of orca whales is experiencing something unexpected: a baby boom. 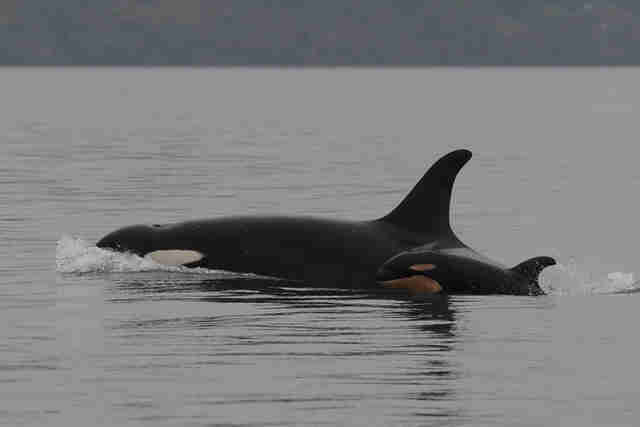 Researchers at the Center for Whale Research in Washington State's San Juan Islands announced the youngest of three new calves on Wednesday, posting a photo of the baby to Facebook. Fortunately the whales were very grouped up and within a few minutes we observed the new calf - with its unique orangish color on the white areas. The calf looked very energetic. It's great news for the population, which is facing severe threats from both a lack of its major food source, Chinook salmon, and toxic contamination in the water. 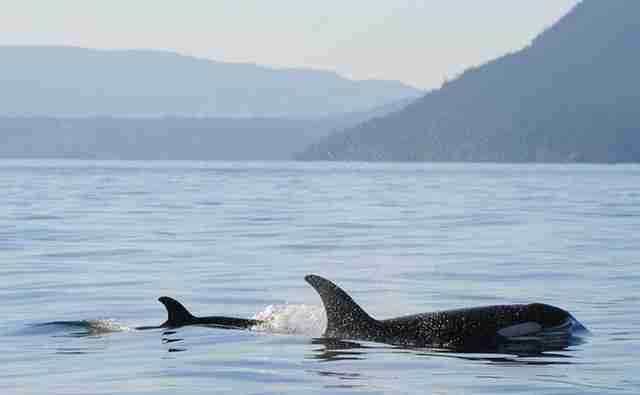 The calf brings the population's number up to 80. 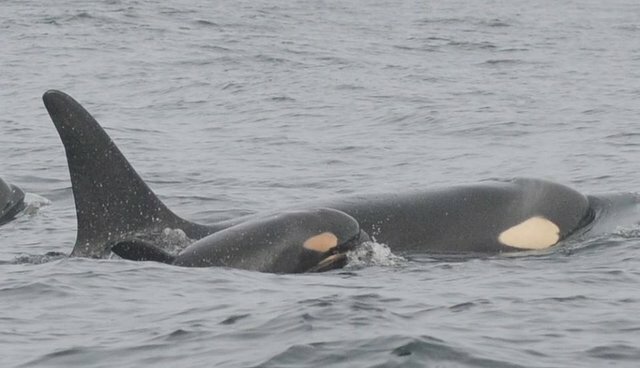 Earlier this month, a 1-week-old calf, J51, was spotted among the members of the J pod alongside the baby's presumed mother, a 36-year old whale known as Shachi, or J19.